Which classes do you teach at the Guildford Studio of Mary Ann Weeks Aveda Studio? I teach the Candlelit Mindful Flow Yoga on a Sunday evening at 7.30-8.30pm which involves gentle vinyasa flow yoga with a sprinkling of passive yin yoga poses. We have a lovely little group of yogis who come for the candlelit atmosphere on a Sunday evening. As we set up our nests of comfy props at the beginning of the class and I tuck them into their blankets and lavender eye pillows, we joke that we’re getting ready for story time at our weekly sleepover! I’m also leading the brand new early Ashtanga yoga class on Tuesday mornings 6.30-7.30am. This practice is very dear to me, and I’m so excited to share it with the studio community – and hopefully convert some newcomers to this amazing style of yoga! Tell us a bit about you? 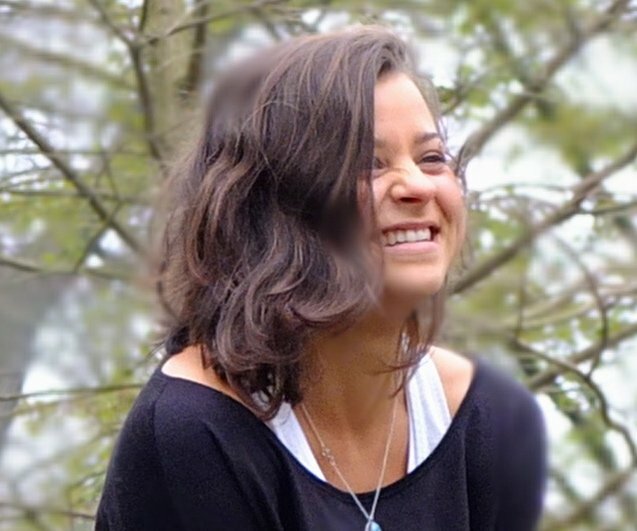 I’m 24, live in Cobham, and am busy running around Surrey and London teaching yoga and studying sports massage. Outside of yoga, I’ve started kickboxing and gymnastic strength training. With a childhood and teenage years filled with performing arts, I love discovering new movement arts, and endeavour to throw myself into new things with a beginner’s mindset. I also love to travel, and have a particular draw to Spanish-speaking countries around the world. I studied Spanish for a total of 3 months in Guatemala, and it’s definitely on my list to continue this skill and maybe live somewhere in the sun one day…. How did you start yoga & why? I tried the corporate thing when I finished university, eager for the glamour of a stressful, high-paced job. I soon realised that I wanted to direct my time and energy into improving the wellbeing of myself and others. During my first teacher training I was converted, and I knew yoga would be the driving force of my life from then on. While the physicality of asana practice drew me in, the breath work, meditation and spirituality got me hooked. Now I see yogic philosophy as one of the major inspirations for my worldview and mindset (and playing around with crazy poses is still a fun challenge I seek!). I’m all about sun salutations. Once I get flowing, my mind starts to quieten – I know it’s time to land on the mat. Sometimes warming up and calibrating movement and breath can be the hardest part of the practice, but this just serves to illuminate the state of mind at that moment. Consistent practice is a teacher, and a lot can be learned by repeating these simply flows. What’s your style of teaching in a nutshell? Flow. Such a generic term in the yoga world, but I continue to find more and more meaning in it. The deeper layers I find of how to embody flow of the body, breath and drishti (eye focus), the more authentically I feel I can communicate this practice with my students. What’s your absolute favourite thing about teaching? The subtle smile on a student’s face when they close their eyes and really apply the cue to listen to the body. I’m watching in real-time the wisdom of the practice unfold! You can also learn a bit more about Ashtanga yoga via our studio blog. FREE Eye Pillow with Every New Studio Membership in April! How Many Calories Do I Burn in a Yoga Practice?